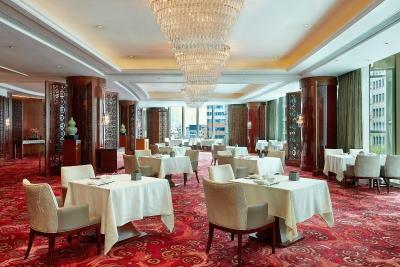 Lock in a great price for Shanghai Marriott Hotel City Centre – rated 8.8 by recent guests! Everything was excellent. The staff was extremely helpful, the breakfast buffet was a must to get started exploring the city, the location is super convenient. It is very close to metro and points of interest, it was even one block away from the tour bus. Would highly recommend. This hotel was simply great in every way. I had a room on the 30th floor overlooking Shanghai and it was just delightful. This is a first class luxury hotel and worth every penny spent to be in it. Overall execllent. It was my birthday and the hotel surprised me with a birthday card and 🍰 which was thoughtful. Very good hotel in a nice location near People’s Square in Shanghai. Spacious room, well cleaned and nicely decorated. The breakfast is an amazing experience: many options all equally good! I can say that when I was at the hotel I was happy. So, I can recommend the hotel to everybody. Excellent location, great room, very polite an effective team. I was upgraded to a nice suite overlooking the river. 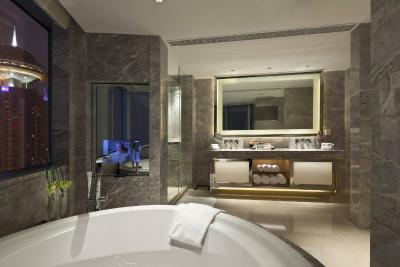 One of our top picks in Shanghai.Shanghai Marriott Hotel City Center offers amenities and guest service in a downtown location within around a 5-minute walk from East Nanjing Road Pedestrian Street and People’s Square subway hub (line 1, 2 and 8). 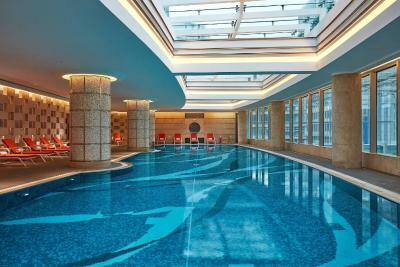 It features a day spa, a 100 feet indoor pool and fitness facilities. 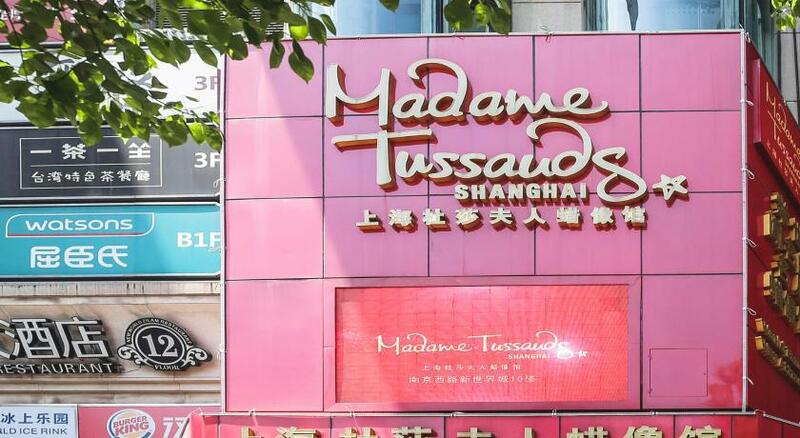 The hotel is around a 16-minute walk from Shanghai Museum, around a 10-minute drive from the Bund or Xintiandi and around a 15-minute drive from the Oriental Pearl Tower. 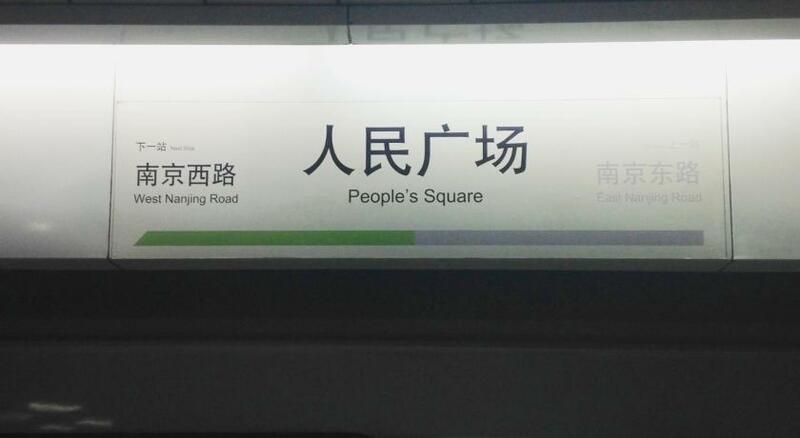 It is around a 50-minute subway ride from Hongqiao Railway Station and Airport. Pudong International Airport can be reached by around a 1-hour drive. Featuring skyline or river views from over-sized windows, the spacious rooms offer dark wood interiors and shades of maroon. 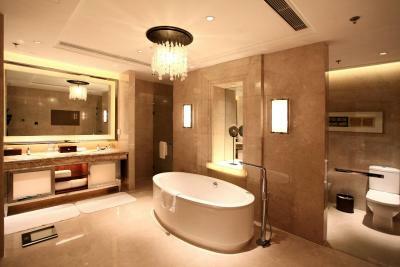 Large bathrooms have comfort toiletries and separate bath and shower areas. Guests can enjoy a relaxing spa massage or the sauna after active gym workouts. 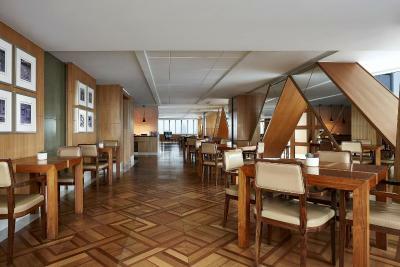 The hotel provides concierge services and meeting facilities. 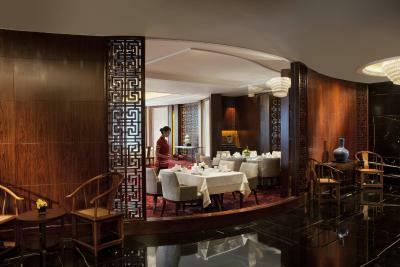 The dining options include Man Ho Chinese restaurant and Shanghai City Bistro. 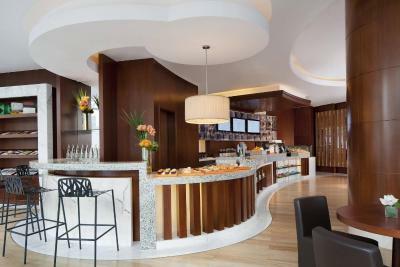 The Lounge offers all-day dining while Java+ serves freshly baked pastries. 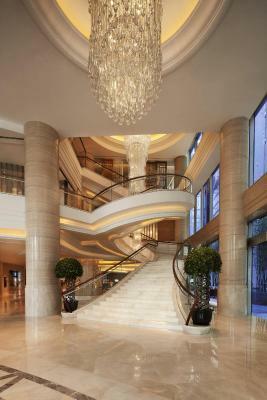 When would you like to stay at Shanghai Marriott Hotel City Centre? Room offers WiFi, a flat-screen TV, separate shower and bathtub, and Marriott’s signature Revive bedding. 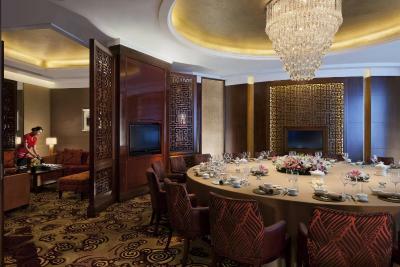 Spacious room offers views over the Shanghai skyline and access to the Executive Lounge for daily free breakfast, afternoon tea as well as evening snacks and alcoholic beverages. 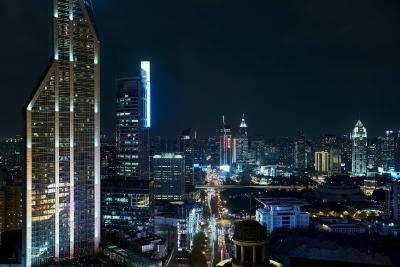 This spacious suite has a separate king bedroom and living room and is located on a higher floor with commanding views over the Shanghai skyline. Access to the Executive Lounge provides daily complimentary breakfast, afternoon tea as well as evening snacks and alcoholic beverages. - Full buffet breakfast with eggs to order, afternoon tea, evening cocktails and canapes and other personalized service. Wifi and Wired internet are included. 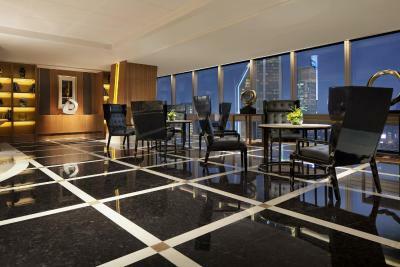 Spacious room is located on a higher floor with commanding views over the Shanghai skyline. This spacious suite has a separate king bedroom and living room. It offers 2 flat-screen TVs, personal safe and mini fridge. The marble bathroom comes with a walk-in shower and a bathtub. The breakfast included rate of this room offers free breakfast for a child under 6 years old. For the child aged 6-12 years, breakfast is 50% off. This double room has a satellite TV, iPod dock and bathrobe. This double room features a electric kettle, spa bath and sofa. 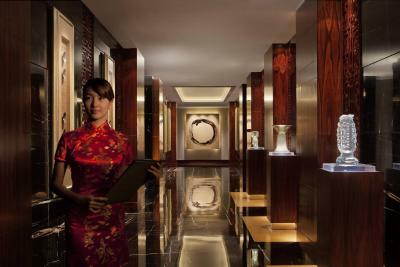 House Rules Shanghai Marriott Hotel City Centre takes special requests – add in the next step! Any additional children or adults are charged CNY 157 per night for extra beds. Shanghai Marriott Hotel City Centre accepts these cards and reserves the right to temporarily hold an amount prior to arrival. Everything was good. I can not tell anything that bothered me during my stay. Breakfast was good. The location of Marriott was good, too. I would like to recommend this hotel very strongly. The USB charging ports were not working and we thought the room was definitely overpriced. 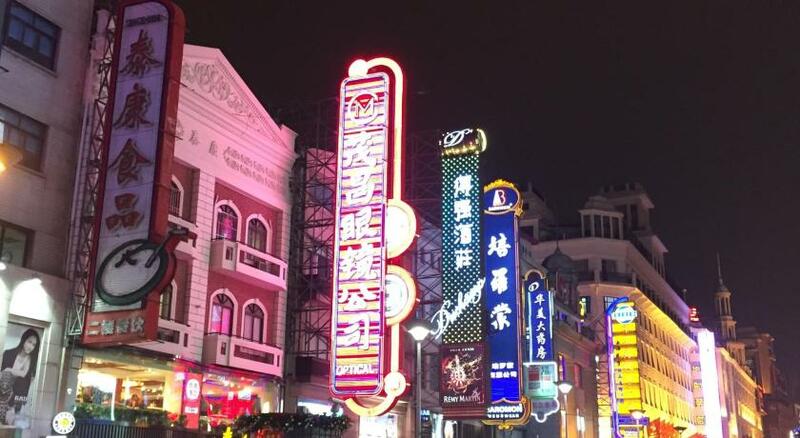 Location is great, very close to Metro Station and 15-20 minutes walk to the Bund. onsite restaurants are not very good. location was good. but breakfast is too expensive. The check in hour is to late! Breakfast spread at the executive club is limited. 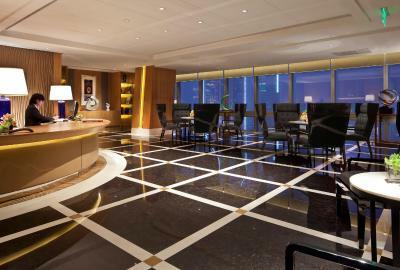 Location is excellent & the breakfast spread at level 3 is good.